For the Nepalese shamanic initiate, the calling to the path (deuta-aunu) can happen in one of four ways. The first method is the calling of blood, that is the ancestral call that comes from one’s place in a shamanic family. In this case, an initiate may be taught from childhood by another family dhami/jhankri or develop shamanic gifts later in life by becoming possessed by a shamanic ancestor or an ancestral shaman’s helping spirits. The second calling is through a sudden and unexplained spiritual illness that overcomes the person receiving the call. This can occur anytime from childhood forward. The strange illness doesn’t respond to treatment and sometimes the initiates enter a kind of spiritual battleground in which they must choose to follow the path or succumb to their malady. 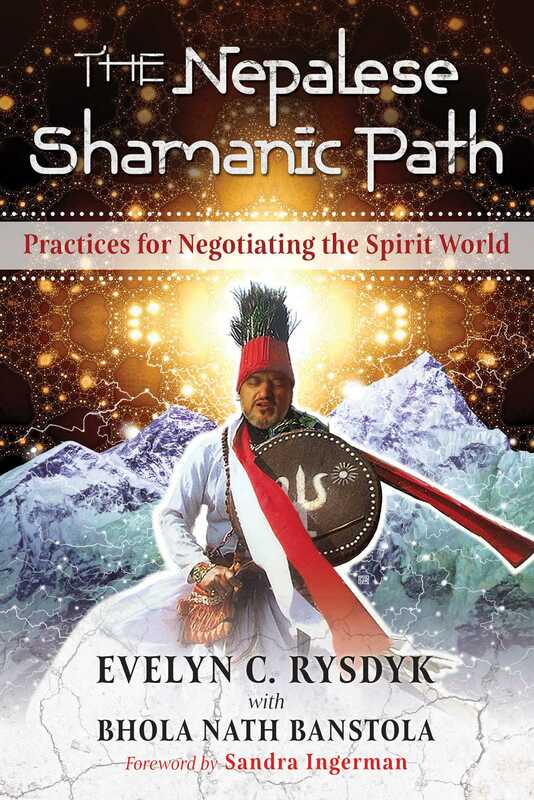 A third path of becoming a shaman, and often the most common way to the path for us in our Western culture, is by following dreams and or visions that lead a prospective candidate to seek a human teacher. The fourth way of receiving the call is to be kidnapped by the primordial shaman, Banjhankri. (In the mountain regions of Nepal, Banjhankri is also known as Banaskhandi, “he who dwells in the plant kingdom.”) It is from this being that the term jhankri--one of the most common designations for a shaman--is derived. (The Nepali shamanic worldview is so complex that there are myriad designations for a person we would simply refer to as a “shaman.”) This male being dwells in a wilderness cave with his fierce spouse, Banjhankrini. These characters are spiritual beings who are also said to have a partly human/ partly animal physical aspect. The power of having a tripartite aspect of spiritual/divine, animal, and human is known as Tri-Khandi in Nepali. This means that which lives in and beyond the three realms of existence. Banjhankri is typically described as a dwarf three to nearly five feet tall. His size is not his most unusual aspect, however. Except for his face and palms, he is completely covered with golden or reddish hair, which grows upward rather than downward over his body. In the fashion of Shiva and some Hindu sadhus, Banjhankri’s hair is coiled on top of his head so that it rises into a topknot. His feet are oriented backwards on his legs so that his footprints appear to be headed in the opposite direction from his progress through the forest. He is sometimes depicted with a pail of fresh milk that indicates his clarity and purity as a sacred teacher or guru for the shaman. In counterpoint to Banjhankri’s light aspect, his wife/consort is an expression of wildness and ferocity. An encounter with the formidable, Banjhankrini is one fraught with danger. Where her husband is small, she is over twelve feet tall. She appears to be part bear, part giant ape, and part human. She is covered in a pelt of long, thick black hair and has long teeth and sharp claws. Banjhankrini also brandishes knives for her work. One is the Nepalese khukuri, a kind of short machete with an inward curing blade made famous by the fierce Gurkha warriors of Nepal. The others are two khurungi. These are small, sharp hand-sickles typically wielded by female deities. These are spiritual versions of the hasiya or small, sharp hand-sickles typically used by women for cutting grass. She also carries iron blacksmith’s tongs for handling hot cooking vessels or coals from the hearth and wears a bamboo gathering basket on her back. As with other spirits, the same figure seen and perceived by one person can be perceived and experienced differently by another. This fantastic couple operates in unison to teach the initiate in that they represent the two faces of the power found in the natural and spiritual realms. They represent the cosmic dualities of order and chaos, creation and destruction, lawful and taboo, domestic and wild. Without Banjhankrini’s dark aspect, Banjhankri’s light could not be revealed. And without his patient and structured teaching the forces of dismemberment or dissolution would prevail. The shaman must learn how to tread the line that holds these opposing energies in harmony. When contained and balanced by a skillful and virtuous practitioner, spiritual energies may be used to heal and create harmony. On the other hand, if a shaman is not balanced within herself or himself and power is mishandled, it may sow discord, create strife or illness, and consume the shaman’s mind and/or body. Indeed, any kind of power can be harmful when it is wielded without clarity and integrity.